My current projects I'm working on. Note: This is not a complete list of all the projects I'm planning, and the information below is subject to change. A lot of the artwork is also very out-dated and may not even have the same art style as the final product. In a kingdom that hates wolves, a boy must bring peace between the kingdom and the wolves of the forest. A sphinx goes on a quest to save an old friend. Set in ancient Greece. In a world where music is used as a weapon, two adventurers are on a quest. A superhero duo in Toronto fight villains. A woman and a blob. Set from the 1940s to 1950s. Three adventurers going on adventures. Set in a Medieval swords n' sorcery world. 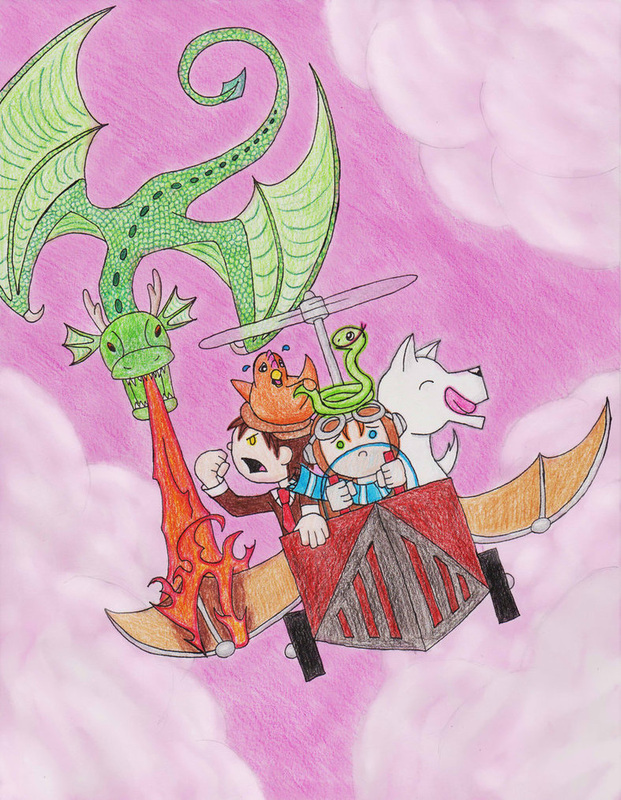 Three animals and three humans get together do odd jobs in a steampunk world. Rube Goldberg-style machines abound. Set in rural England during the 1930s, this is the story of a young manor owner and his newly-hired chauffeur. I won't give much of this story away for now, but you can see a lot of sketches of the two main characters.